Join gather on Thursday May 16th at 7p for our Modern Calligraphy Workshop with Rachel Jacques of Bright Line Studio. 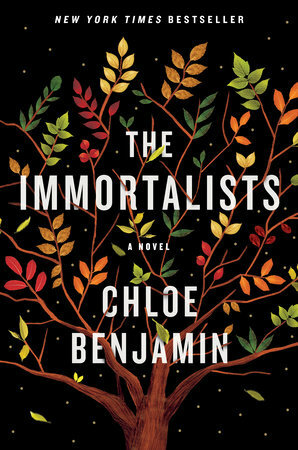 For this class we are headed to Berkeley to pop up at our favorite East Bay shop, Neeko. This two and a half hour class is for beginners who are eager to learn modern calligraphy! We will go over the basic strokes before heading into the lower case and upper case alphabet. All the necessary materials you need for the class and at home practice will be provided. You will get a complete alphabet and resources workbook for beginners, worksheets, oblique calligraphy pen, 2 nibs, a Rhodia paper pad, black ink, and extra paper. At the end of the class you will create a hand lettered quote that you can take home! gather will provide beer, wine and snacks to fuel your creativity. And our lovely host, Neeko will give you a special discount on purchases while you’re there! Be sure to sign soon, spaces will fill up fast. Please bring a journal, pen, and Tarot deck of your choice. All levels welcome, and beginners encouraged! Alejandra has been studying and reading the Tarot for 17 years. She is the creator of The Lioness Oracle Tarot, a deck she collaged by hand with found paper images. In a class with her you can expect to feel welcomed and safe no matter what your current level of expertise is. She resides in Oakland with her kitties Mina and Ziggy. Join gather for our popular Image Transfer to Wood Workshop on Saturday June 22nd at 10a. For this class we are headed to Golden Gate Doulas and popping up in their gorgeous family room. Our instructor, Chelsea Hiatt Farley has made a business of transferring her photos on to wood with her company Cuppa Fog for the past 6 1/2 years. For this workshop she will share her secret tips and tricks! This two hour class also includes mimosas and light brunch snacks. Our gracious hosts, Golden Gate Doulas have a beautiful community space in San Francisco’s lower Haight neighborhood for new and expecting moms. No need to be a parent though, this workshop is all inclusive and everyone is welcome! No experience needed- all levels welcome! *If you use our vintage themed San Francisco photos the cost is $45 but if you'd like to customize it more you can use your own photos for $55. If you are using your own photos we recommend good contrast and high resolution digital files. We advise you to stay away from portraits (people or animal), as they are tougher to make sure the distressing doesn’t happen over important parts like faces. Please email pictures to hello@gathersf.com by Tuesday June 18th. Registration closes at midnight on Tuesday June 18th for custom pictures ($55) and Friday June 21st for SF themed option ($45). Join us March 28th, 2019 at 7p for our new Hand Cut Acrylic Earrings Workshop with WOLL Jewelry. Learn jewelry making skills while designing and making your own colorful acrylic earrings! 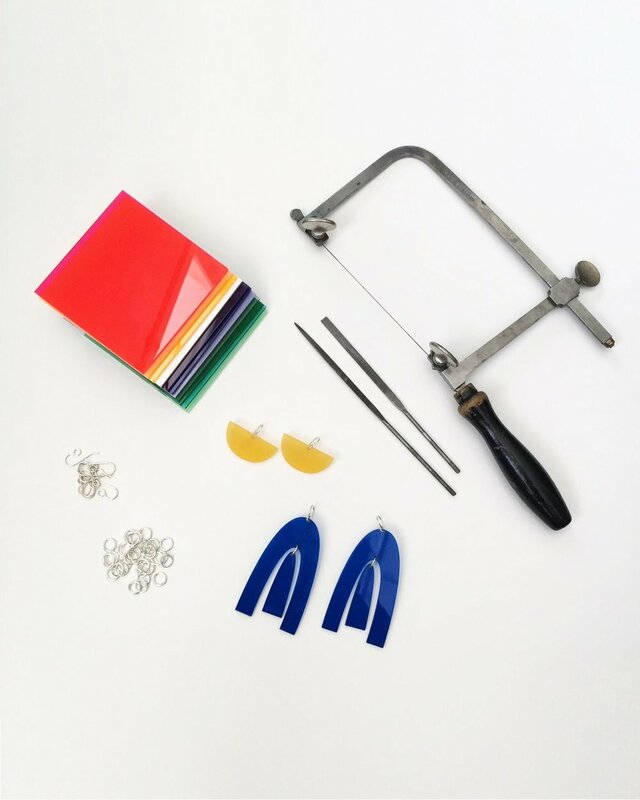 In this workshop you'll learn jewelry making basics like sawing, filing and drilling. Acrylic is a great material to start with because it is lightweight, affordable and easy to work with. Start with cutting out a simple shape, filing and sculpting it to your liking. Then move on to a pair of mobile-style or statement earrings. We'll use a drill press to make holes and attach your final pieces to sterling silver findings so you can go home with 2 pairs of earrings that are ready to wear (or gift) and the skills to make more on your own! Jewelry designer and maker Liz Woll received a Bachelor of Fine Arts from the Jewelry and Metalsmithing program at Massachusetts College of Art and Design in Boston. Since she has worked as a polisher of high-end Swiss watches, as a bench jeweler making sterling silver jewelry, and recently for a laser-cutting and fabrication shop creating prototypes and manufacturing products. Simultaneously, Liz has been building her brand WOLL Jewelry which is known for her whimsical and well-crafted acrylic pieces that are now sold in over 30 retail shops throughout the United States and internationally. This two hour class includes wine, beer, and snacks and a discount on merchandise in the store that night. Learn about the significance of the Spring Equinox, and how it relates to personal and collective cycles in the wheel of the year. Learn about super moons, what they symbolize, and how to work with them. Learn about the current astrology of this day, and what it signifies. Learn about the major arcana cards The Emperor, The Empress, and The Moon. Learn a Supermoon Spring Equinox Tarot spread, and give this reading to yourself. This class is open to all levels, and beginners are encouraged to attend. Bring a Tarot deck of your choice, a journal and pen. This two hour class also includes wine, beer, and snacks and a discount on merchandise in the store that night. Join us Saturday March 16th from 11a-5p at Old Oakland as we pop up for our famous Shops Sale! We are a group of locally owned bay area shops and designers getting together for our bi-annual super sales shopping experience. We are joining forces with Head West, a new market place for emerging brands to showcase their hand-made goods and unique talents. Come check out the market and help us all make room for our new Spring merchandise and snag beautiful tops, dresses, jackets, jewelry, and more. Each boutique/designer will be bringing past season items discounted 50% to 80% off! Show up early for the best selection. You won't want to miss this epic sale event! Join us for our popular Image Transfer to Wood Workshop on Thursday March 14th, 2019 at 7p. Our instructor, Chelsea Hiatt Farley has made a business of transferring her photos on to wood with her company Cuppa Fog for the past 6 1/2 years. We carry her beautiful San Francisco themed pieces in the shop. For this workshop she will share her secret tips and tricks! *If you use our vintage themed San Francisco photos the cost is $45 but if you'd like to customize it more you can use your own photos for $55. If you are using your own photos we recommend good contrast and high resolution digital files. We advise you to stay away from portraits (people or animal), as they are tougher to make sure the distressing doesn’t happen over important parts like faces. Please email pictures to hello@gathersf.com by Sunday March 10th. Registration closes at midnight on Sunday March 10th for custom pictures ($55) and Wednesday March 13th for SF themed option ($45). Join us Thursday March 7th, 2019 at 7p for our Giant Knit Blanket Workshop with Cara Corey Designs. Learn how to make a dreamy super thick and cozy knit blanket out of wool roving, plus tips and techniques for caring for these blankets. No knitting experience required! Knit and crochet designer Cara Corey will show you how to use a "table knitting" technique, forming the stitches with your hands rather than using knitting needles. Join us Tuesday February 12th, 2019 at 7p for special Floral Arranging Workshop with Lorena Cortez of Home Sweet Flowers, just in time for Valentine’s Day. 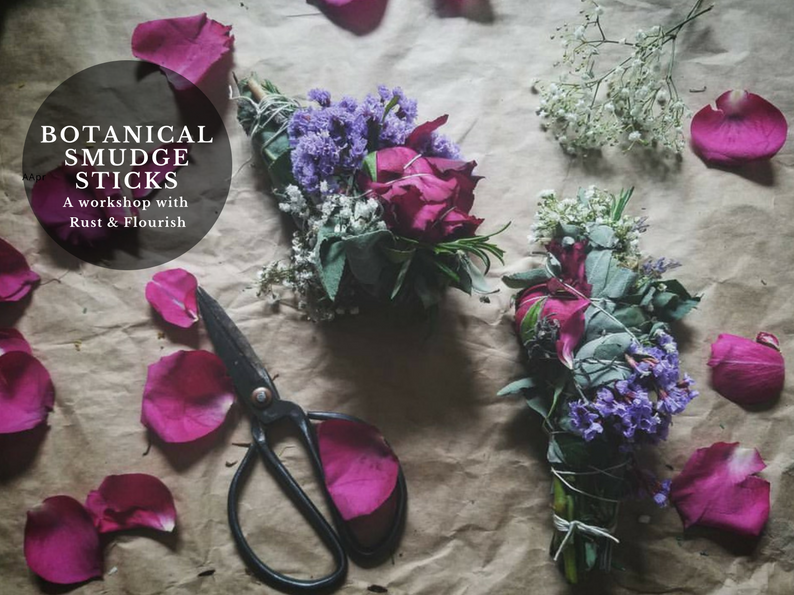 Lorena will walk the class through the various meanings and histories of flowers, where to source fresh flowers, and how to put together a beautiful vase arrangement to take home. Price includes all flowers, a vase, and all other class materials. Each student will leave with their own floral arrangement in vase. Wine, beer, and yummy snacks are provided and you’ll get a discount on merchandise in the store that night. Perfect for Valentine’s Day shopping! Join us for our beginner natural perfume workshop on Thursday February 7th, 2019 7p. You will learn about the history and art of natural perfumes while creating a formula with oils from around the world, including Italian bergamot, Haitian vetiver, Bulgarian rose, and more. Join us Sunday February 3rd at 10a for our Modern Calligraphy Workshop with Rachel Jacques of Bright Line Studio. Just in time for the Valentine’s Day, this two and a half hour class is for beginners who are eager to learn modern calligraphy! We will go over the basic strokes before heading into the lower case and upper case alphabet. The perfect skill to for addressing and making Valentine’s cards. All the necessary materials you need for the class and at home practice will be provided. You will get a complete alphabet and resources workbook for beginners, worksheets, oblique calligraphy pen, 2 nibs, a Rhodia paper pad, black ink, and extra paper. At the end of the class you will create a hand lettered quote that you can take home! We’ll provide festive mimosas and brunch snacks to fuel your creativity. We'll even give you a special discount on gather purchases while you’re there (hello, Valentine’s Day shopping)! Be sure to sign soon, spaces will fill up fast. 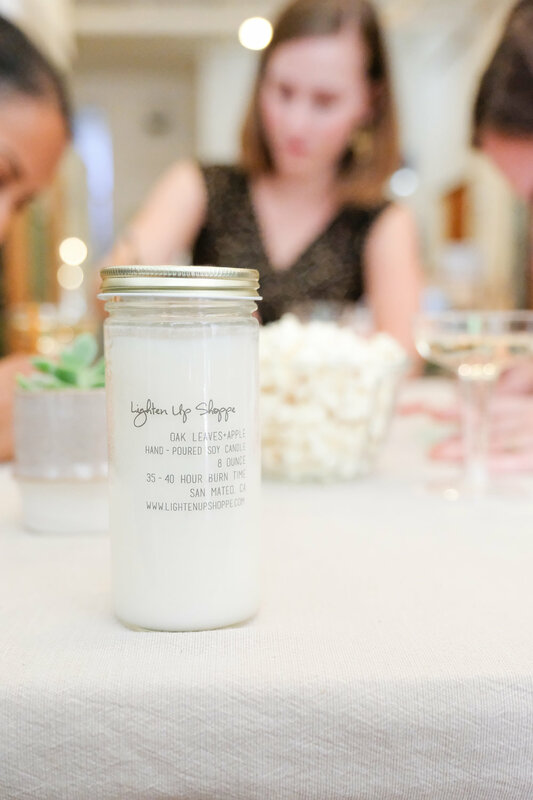 Join us Thursday January 31st, 2019 at 7p for a special candle making workshop with Hyunny of Lighten Up Shoppe. Hyunny will demonstrate how to make your very own candles teaching you the process from beginning to end. You'll go home with at least two candles mixed with your very own scent combinations using a variety of essential oils, fragrance oils, and dried flowers. This workshop is SOLD OUT. Our next tarot card workshop is March 20th. Learn about the collective Major Arcana card for 2019, The Hanged Man. Learn how the number 3 corresponds to 2019, what that signifies for you, and what Tarot cards are associated with it. Engage with the power of New Year's intentions, planting seeds for your future year. Be assisted in conducting a New Year's Tarot reading for yourself. Join us for our special Holiday Image Transfer to Wood Workshop on Thursday December 13th at 7p. Our instructor, Chelsea has made a business of transferring her photos on to wood with her company Cuppa Fog for the past 7 years. We carry her beautiful San Francisco themed pieces in the shop. For this workshop she will share her secret tips and tricks! *We recommend good contrast and high resolution digital files. We advise you to stay away from portraits (people or animal), as they are tougher to make sure the distressing doesn’t happen over important parts like faces. Please email pictures to hello@gathersf.com by Monday December 10th. Join us on Friday December 7th from 4-9p during the Hayes Valley Holiday Block Party. We will be open late serving mulled wine and celebrating with two of our favorite people. gather designer, Sarah Liller will be joining us for a special trunk show from 5-9p of her beloved comfy yet classic designs. Meet the designer, shop an expanded selection of her pieces, and pick out a new dress or jumpsuit for your holiday parties. Also, Alejandra León of The Lioness Oracle will be on hand doing Tarot Card readings from 4-7p. Readings are 20 minutes and cost $40. This is an experience not to be missed! Show up early to make sure you get on the list. Anyone who purchases Sarah Liller or gets a reading from Alejandra will get 15% off any other purchases during the night! Join us Tuesday December 4th at 7p for a festive Wreath Making Workshop with Lorena Cortez of Home Sweet Flowers. Lorena will walk the class through how to create a modern and sophisticated wreath incorporating beautiful natural elements from start to finish. She'll talk to you about the best foliage and berries to use so that these can last throughout the holiday season and even dry gracefully for months after. Price includes fresh greenery & berries, ribbon, tools to create your wreath, and seasonal sweets and adult beverages to fuel your creativity! Your finished product will look lovely on your door, as a centerpiece, or above your mantel! Also, as a special treat Salt Point will be popping up during the workshop pouring up their tasty canned Greyhound, Moscow Mule and Gin Highball cocktails. Join us Saturday December 1st at 10a at gather for new Paint-by-Number Holiday Card Workshop. Make the most beautiful handmade painted holiday cards this year in this easy, relaxing class. Take a break from work, get together with friends, and start celebrating the holidays early with us. Choose from 4 designs: bear, fox, deer, or owl. Additionally, Kristina of Lacson Ravello will be on hand with her locally made clothing. Her dresses and tops are perfect for your holiday parties or gifting to your bestie. Meet the designer and try on her gorgeous designs. Join us Thursday November 15th at 7p for a festive Wreath Making Workshop with Lorena Cortez of Home Sweet Flowers. Lorena will walk the class through how to create a modern and sophisticated wreath incorporating beautiful natural elements from start to finish. She'll talk to you about the best foliage and berries to use so that these can last throughout the holiday season and even dry gracefully for months after. We’re so excited to be a part of our favorite craft show this November! Join us at Renegade Craft at Fort Mason November 10th and 11th as we set up a mini satellite gather shop. We will have goodies from all your favorite gather makers including brand new work from emerging artists. Get a jump start on your holiday shopping! See you there! 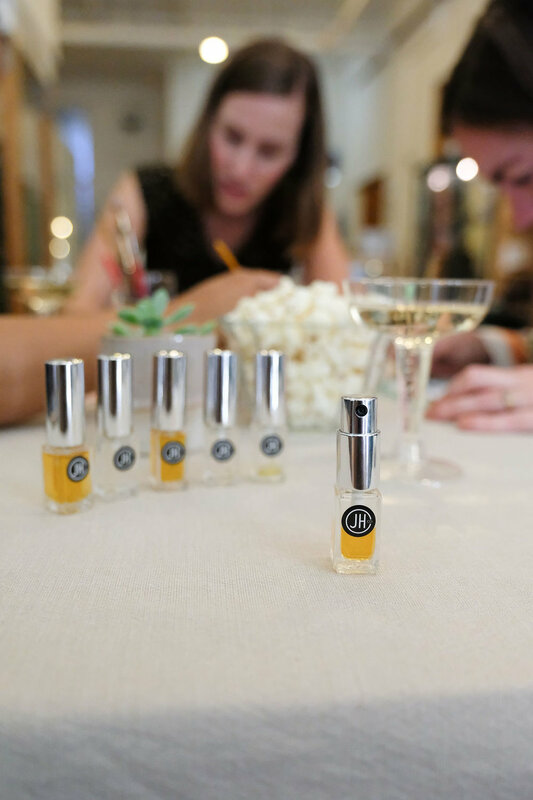 Join us for our beginner natural perfume workshop on Thursday November 1st at 7p. This two hour class includes wine and snacks and a discount on merchandise in the store that day. Join us Tuesday October 16th, 2018 at 7p for our Giant Knit Blanket Workshop with Cara Corey Designs. Learn how to make a dreamy super thick and cozy knit blanket out of wool roving, plus tips and techniques for caring for these blankets. No knitting experience required! Knit and crochet designer Cara Corey will show you how to use a "table knitting" technique, forming the stitches with your hands rather than using knitting needles. Learn about the significance of the Autumn Equinox in the wheel of the year. Learn about the Major Arcana card Justice, and how it not only relates to 2018, but specifically this time of year. Learn about the zodiac sign of Libra, and how it relates to the Justice card, and Autumn. Learn about the twos of the Minor Arcana, and how they relate to balance and choices. Be assisted in giving yourself an Autumn Equinox reading! For this class you will need a journal, pen, and Tarot deck of your choice. Beginners are welcome, as well as all levels.